Sample seven of our most popular low carb products for cheap! 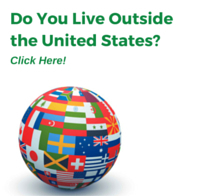 Discover hot chocolate, low carb potatoes, granola cereal and much more. All low carb, all natural and gluten free. 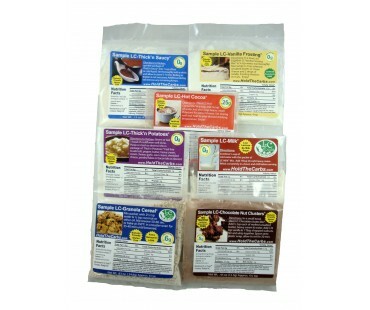 Perfect if you are new to LC Foods and want to dip a toe in the water first! Included in the sampler pack are one each of LC-Cocoa Hot Chocolate, LC-Vanilla Frosting Mix, LC-Thick'n Saucy, LC-Thick'n Potatoes, LC-No Bake Chocolate Nut Clusters, LC-Milk, and LC-Granola Cereal. 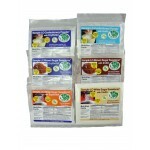 Also check out our 7 piece Sugar Sweetener Blends sampler!